Continuing the series of interviews with people who have interesting careers relating to the fibre arts, I've been finding out more about Becca Parker - an avid crafter who also works at Simply Crochet magazine. Hi Becca, can you start by introducing yourself and telling us what your job is? Hello! Thanks so much for having me, Sarah! 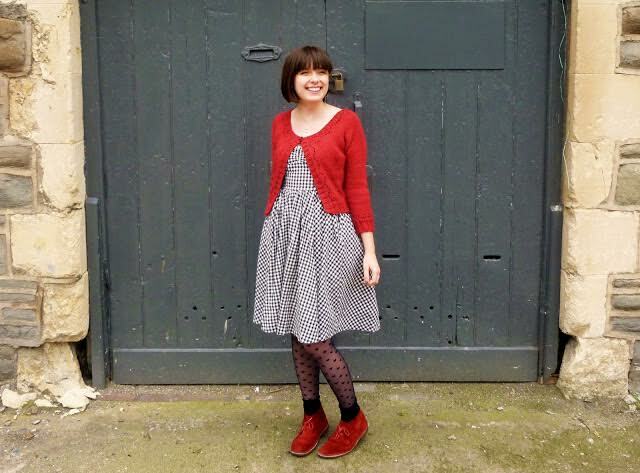 I'm Becca, I grew up by the seaside, but moved to the West Country in my teens for university and stayed put. I'm now settled in Bristol with my husband, working as Production Editor for Simply Crochet by day and squeezing in as much creative stuff as possible the rest of the time. As well as your day job, you have a blog where you talk about your own crochet and knitting. How long have you been blogging and how much time do you have to put into that? It doesn't seem like it's really been that long, but I started blogging back in 2009! I had loved reading other blogs and liked to write, so thought I'd give it a go. 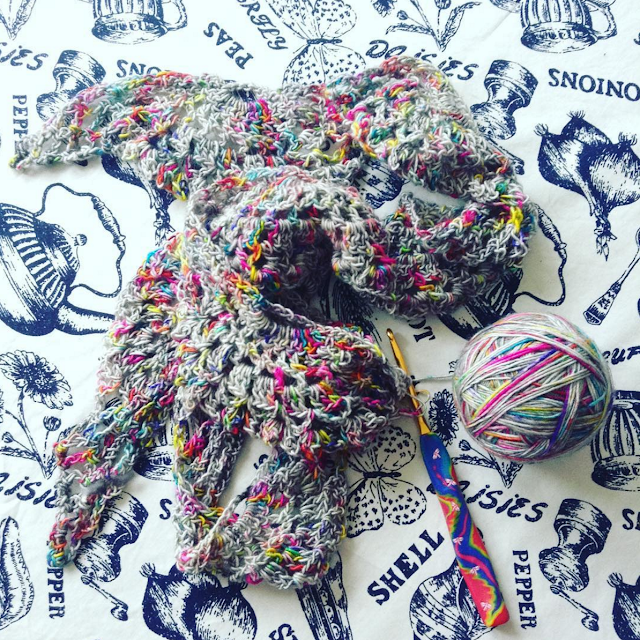 It started out as a place to chronicle my knitting in public adventures and it's still fairly personal – my little space to share what I've been making and thoughts on creativity and inspiration. 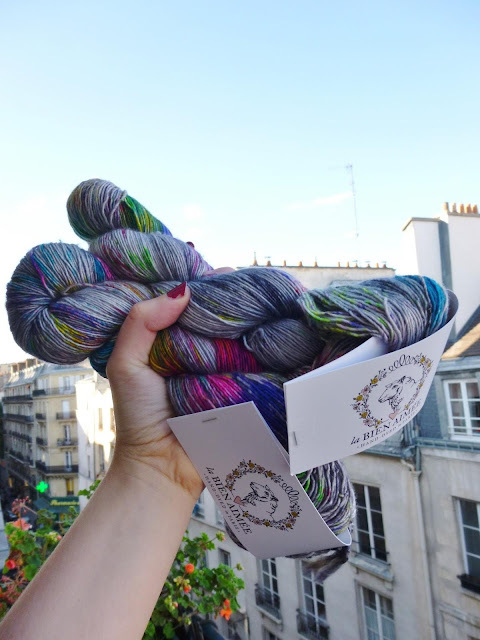 The yarny blogging community is such a lovely one, and while microblogging via Instagram and Twitter is a whole lot easier, I still love reading blogs and love the longer form of storytelling that blogging is so well-suited to. As Knit Happens isn't my full-time job, I have quite a relaxed attitude to it. I aim to post once a week, but try not to force it as I don't want it to feel like a chore. When I've shared something on the blog I've put time into and thought carefully about, it's always better. How long have you been crafting, and who taught you to knit and crochet? Being creative and making stuff has always been part of my life, only now I've swapped lego and colouring books for yarn. For some reason, when I was about 13 I decided I HAD to learn to knit. With a 1960s craft book, my auntie, nan and dad (he used to knit with pencils when he was a boy) managed to get me to cast on, knit, purl and cast off. I even had a phase of selling my horrendous handmade fluffy scarves to my classmates! Confession time – I only learnt to crochet right before I started my job on the magazine. I'd attempted it before, but a friend helped me brush up on my skills. I think the first thing I made was a wobbly granny square potholder. For anyone not familiar with magazine publishing, can you tell us more about your role at Simply Crochet and what your average day (or week) looks like? As Production Editor, I'm responsible for the words and workflow. That can mean anything from writing captions and news stories and sourcing products, to editing features and making sure everything's on track and ready for deadline. Spreadsheets and terrible puns are my secret weapons. The Simply Crochet team is very small (they are the loveliest!) and we work really closely, with pattern pages and features being passed between us as we each work on different aspects. On an average day, I could be responding to reader queries, scheduling Twitter posts, designing a yarn review pattern, proofreading the latest pages and helping the Art Editor pack samples for the next photo shoot. There's never a dull moment! As it's a monthly mag, everything works as a bit of a cycle, with most of the planning and writing happening in the first couple of weeks, then editing and proofing in the last week. Also, as we work a few months ahead, Christmas starts in about July! It's so bizarre to be writing about cosy winter projects when it's boiling outside! What is your background and how did you come to work on this magazine? I actually came in as Production Assistant on the mag way back in issue two! It wasn't long after I'd graduated. I studied creative writing and textiles at university, coming away with a BA in Creative Arts (whatever that means!). In my third year of university, I had interned at The Makery in Bath and helped out with something they did for Mollie Makes magazine. After that, I kept my eyes peeled for editorial jobs with the same publisher. Who knew there was a job that could combine textiles and writing skills so brilliantly? The variety and the proximity to yarn are definite plusses. My favourite moments are when we get the new issues back from the printers. Suddenly something we've spent weeks pouring our energy into has become a real, tangible thing you can hold in your hands – magical. There's also nothing better than spotting Simply Crochet makes 'in the wild', whether that's online or in real life. Do you have any advice for readers who would like to get publishing? Don't be shy about mentioning your blog! Mine actually helped me get the job as they could see examples of my writing and my passion for yarn, even though I didn't have heaps of experience in publishing. Also bear in mind that there are all kinds of different roles in publishing, not just writing – marketing, design, photography, events. If it's a totally new area for you, I'd recommend doing some work experience with a brand you love. What are you working on now/ what is next for you? You've caught me at quite an exciting time. I'm just launching my Etsy store, To Be Adorned. Before I went to Uni, I worked in a wedding boutique for a couple of years. I've never fallen out of love with the romance of weddings, but have a strong belief that wedding accessories should be fun, unique and not cost the earth. I'm finally making all the things I wish I'd made in my textile degree! You can see what I'm up to at @tobeadorned on Instagram. You can find Becca at Knit Happens blog, on Instagram and Twitter. Find the Simply Crochet website here, or click on the affiliate banner below to get a special offer! Stay tuned throughout the coming months for more interviews and behind-the-scenes news. You can subscribe via Bloglovin' and follow CftC via Facebook or Instagram so you don't miss a thing.